Smart-1 was the first european mission to the Moon. It was in fact the first probe of the program Small Missions for Advanced Research in Technology, launched by the ESA to test new technologies being able to be used in other programs. The probe apparently had modest ambitions : it weighted only 367 kilos (the third of what one reported of the Moon), spent sixteen months to go on the Moon (against three days for Apollo) and represented a budget of 110 million euros (20 billion for Apollo), but that hides the real goal of the probe : to study new technologies. The probe was launched on September 27, 2003 by a rocket Ariane 5G (flight 162). 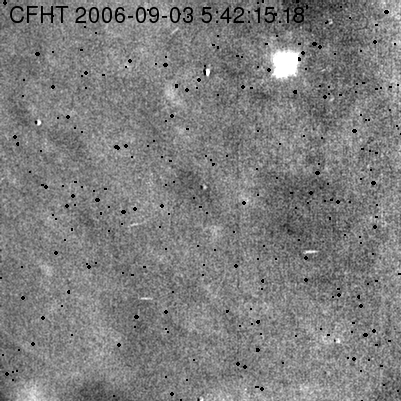 On March 24, 2004, the probe had achieved 250 terrestrial orbits and had one period of deceleration because of frequent solar eclipses, preventing it from feeding. In September 2004, after one year of voyage, the probe achieved successfully its first missions. The ionic engine functioned 3300 hours with only 52 kg of fuel to travel 78 million kilometers. The communication system by high frequency waves also functioned. On November 15, 2004, it reached the point where the terrestrial and lunar attractions balance and was thus collected by the Moon. On January 12, 2005, it reached the target orbit and its engines died out to test the embarked instruments and to check the fuel level. It made a series of observations before going down again on February 9 to reach its orbit of observation. February 10, a committee of the ESA announced the decision to extend the one year mission, pushing back the end at August 2006. The mission succesfully ended on September 3, 2006 with the voluntary crash of the probe on the Moon. 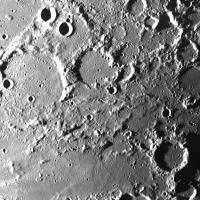 The impact made it possible to study the composition on the Moon by lokking at the raised dusts.